Qafila > editors-pick > Why Has Global Trade Slowed Down? After a period of exponential growth, global trade has slowed down. First noticed during 2011, the phenomenon persisted. In 2012 and 2013, the growth rate of global trade was only 3%. In contrast, the growth rate before the financial crisis (2002-2007) was 7%. Looking beyond 2002, global trade had a growth rate of 6.8% between 1985 and 2007, so it’s certainly surprising to see slower growth in the past few years. The market and the world at large are already feeling the effects of this decline. That’s why it’s important to understand the causes of the slowdown and the implications for the future. Liberalization of trade has made a significant impact in the last century. New technologies and import/export policies that made use of international markets to reduce internal costs made it seem as though world trade would never decrease. We experienced a period of hyper-globalization, with the bubble first bursting in 2008. Global trade grew more than GDP in the pre-recession period. Today we’re observing that the figures have shifted in favor of world GDP. If the nature of the global trade slowdown is cyclical, we can expect the growth rate to rise with time. Cyclical factors are commonly associated with changes in global economic activity, and as such, they don’t have to result in permanent world trade weakening. In case of structural factors influence global trade negatively, we can expect global trade rules to change permanently. Structural factors are most commonly associated with protectionism and global changes in production. If structural factors caused this particular global trade slowdown, we can expect global trade dynamics to change. According to the IMF’s World Economic Outlook, the global trade slowdown can be attributed to cyclical factors. Global trade hasn’t grown since global investment hasn’t grown either, and there was a negative credit impulse from China. Due to subdued demand and factors such as Brexit, IMF predicted the global trade would slow down, and then correct itself. And since world trade grew to 4.7% in 2017, their predictions were correct. “If one tonne of steel and ten barrels of oil are needed to produce one car, these raw materials were worth around $800 in 2002-03, or 5% of the value of a car priced at $16,000. Industrialized countries had to export 5 cars for imports of 100 bundles of raw materials. This example shows that there is a direct link between the growth of trade and commodity prices. And since commodity prices have been falling in the observed period, it’s not surprising that global trade has also decreased. World trade growth might have improved in 2017, but we are still not seeing the post-recession results that would fuel the growth further. The general dissatisfaction with the results is also fueled by risks such as: trade policies, monetary politics, geopolitical tensions, and natural disasters. The protectionist rhetoric could reflect negatively upon growth in the future, and the costs of natural disasters are growing more than trade is. Global trade growth observed in 2017 happened because of increased investment spending in the United States and consumption in Japan. In addition, the EU and China expanded its supply for global demand. However, in the first half of 2018, it became clear that this progress could be rendered obsolete by countries implementing trade-restrictive measures. It’s important to approach the situation with cautious optimism, as many of the powerful trade countries are enforcing their protectionist rhetoric. 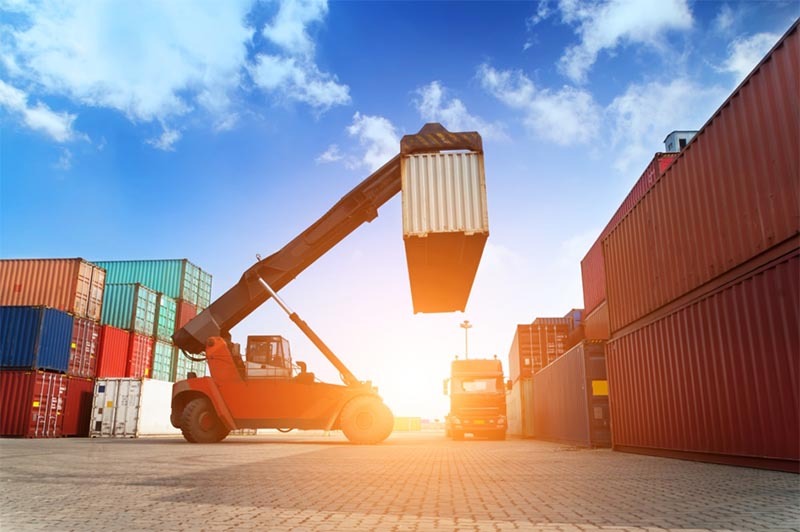 According to a study conducted by researchers from the University of Rochester, trade slowdown also caused a productivity decrease in the US, and it doesn’t seem to be recovering quickly. In addition to that, trade costs are also rising – both for foreign firms exporting to the US and exporters based in the U.S. This suggests that changes in trade policy are also partially responsible for the slowdown. It’s also clear that trade barriers worsened at the end of 2015 as a direct result of the slowdown. All of these indicators point to a structural problem which is slowing down global trade. While it’s natural for a market to experience changes and go through cycles of productivity, the slowdown is worsened by inefficient trade policies creating more barriers than there were before 2008. So what can we expect for global trade in the future? Opinions on the implications and predictions for global trade slowdown vary. While some are expecting a full recovery due to believe that the main problem was a cyclical change in world trade slowdown, others remain cautiously optimistic. For world trade to recover completely, it’s important to align many factors which are subject to both domestic and foreign trade policies of all countries. When it comes to countries which are significant participants in the global trade, it’s important for them to lead by example. Looking at the direct link between commodity prices and trade value, it’s also important to adjust the prices. Welfare benefits could also be improved by removing trade barriers. The same Daniel Grosof the illustrative example in the text before, believes this could be done by working in emerging markets such as India or China. They still have higher tariff and non-tariff barriers than the EU and the US. According to the OECD, trade growth momentum is stable in the United States and Japan, but it’s easing in the U.K., Germany, France, Italy, and Canada. Leading economic indicators have also weakened. However, the experts believe that this can also be a positive sign of the next step in a cyclical change that will also relieve the pressure on oil prices. Since the hyper-globalization we’ve experienced in the last century isn’t set to return soon, it’s important for experts, politicians, and tradesmen to come together and form solutions. Global trade will be improved only if everyone gets a seat at the voting table.